There are less than 100 black female physicists currently working in the United States. According to data gathered from the United States National Science Foundation from 1973 to 2012, only 66 black women have earned a PhD in physics. 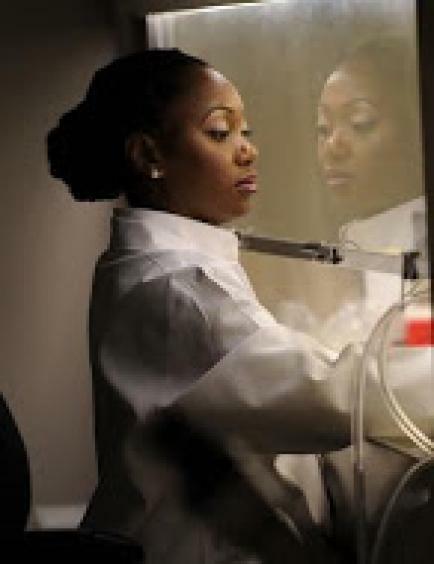 Dr. Hadiyah-Nicole Green is one of those 66 women. She is already one of the most successful women in her field but her latest work could cement her legacy for future generations. She¬†had a difficult start in life, her parents both passed away when she was young and she was raised by her aunt and uncle. She went on to earn a degree in physics from the University of Alabama A&M University; she also earned a scholarship for her Master‚Äôs degree and Ph.D. from the University of Alabama in Birmingham. It was while she was there¬†she began her groundbreaking research. Her research looked at the treatment of cancer, specifically, delivering nanoparticles to the cancerous cells which would mean that a laser could be used to remove them while leaving healthy cells unharmed (WITW staff, 2016). Earlier this year she received a grant of over one million dollars to assist the research which could someday help the lives of countless people.